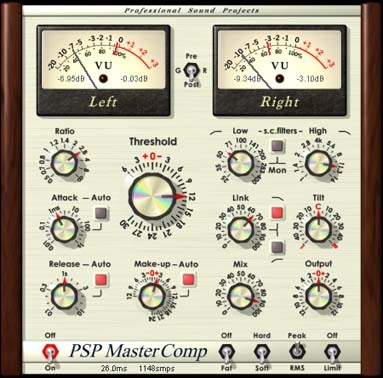 PSPaudioware has released version 1.5.4 of MasterComp, a high fidelity stereo dynamics processor (plug-in VST, RTAS for Windows; AudioUnit, RTAS, VST for Mac OSX Universal Binary). 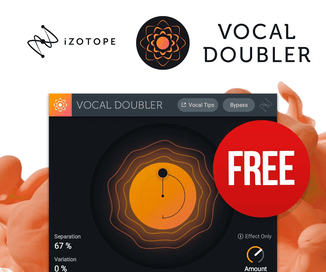 MasterComp’s double-precision (64-bit floating point) and double-sampled (FAT – Frequency Authentication Technique) processing offers transparency even at extreme compression settings and high sample rates. It includes a wide range of controls that make it an exceptionally versatile tool for mastering compression and expansion, as well as bus processing during mixing. 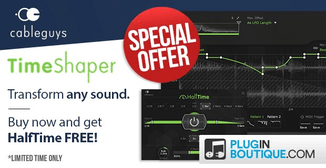 Visit PSPaudioware for more information and a link to download a demo of MasterComp.